The notion that “If you live in America you need to speak English” is commonly raised by citizens upset by the influx of immigrants, undocumented and documented alike. With these mass migrations originating in countries the world over, numerous “English-only” initiatives seek to eliminate bilingual education programs for the claimed purpose that immigrants should speak only English in America. This informal movement creates obstacles blocking many immigrants who learn best through bilingual instruction from acquiring English skills. Yet these same Americans critical of bilingual instruction are skeptical as well of these foreigners’ motivation to attend English as a Second Language (ESL) classes or even attempt to learn English at all, revealing apparent anti-immigrant bias. Ignorance among some of the American public allows this xenophobic myth to persist, despite the demonstrated fact that most immigrants strongly desire to learn the English language, most effectively through bilingual instruction, though they are fully aware of the terrific challenges they confront in this learning task. Although immigrants have long been perceived in stereotypical ways for generations, these new arrivals consistently contradict the common view that “immigrants don’t want to learn English.” The jam-packed ESL classes that foreign immigrants populate as well as long waiting lists to enter these classrooms belie the common belief that immigrants want to remain in their own cocooned ethnic communities. Aviva Chomsky, in her book “They Take Our Jobs!,” details that “92 percent of Hispanics, 87 percent of non-Hispanic whites, and 83 percent of non-Hispanic blacks believe that immigrants have to speak English to be a part of American society, and English should be taught to the children of immigrants” (114). Chomsky’s research shows that Hispanic immigrants are committed to the necessity of learning English even more than are white and black nonimmigrants. Perhaps the challenges of life as an immigrant make clear to these new residents the imperative to speak English in order to survive in America in ways that citizens do not commonly appreciate. Long-time Americans may believe that the new arrivals don’t wish to learn English, but this belief is incorrect. While America is a melting pot comprised of multiple cultures and languages, approximately 80% of its residents are fluent English speakers, helping explain why immigrants wish to speak the language. Yet English-only language instruction hinders optimal progress towards full systematic assimilation. One highly effective approach to teaching English is bilingual classes since many immigrants learn best through reference to their native tongues. The National Association for Bilingual Education states that “a vast number of studies have shown that bilingual education is effective, with children in well-designed programs acquiring academic English at least as well and often better than children in all-English programs” (1). Just as English-speaking Americans are effectively taught foreign languages utilizing English instruction, foreign immigrants to our nation should be given opportunities to learn English in their native languages to maximize learning. Immigrants who arrive in America at very young ages have much less difficulty picking up English than do their older relatives. Even young teens begin to have more trouble learning their new language. The British Council observed in teaching language to children that “When monolingual children reach puberty and become more self-conscious, their ability to pick up language diminishes” (1). Most first-generation immigrants to America, who are beyond early childhood, experience great difficulty in learning English, and it is typically the second generation born in this country that easily assimilates the language, mastering its subtleties as they grow up immersed in the culture. However, these highly useful bilingual programs are at risk as critics have characterized them as “modern day segregation.” Although statistics demonstrate the positive results produced through bilingual education, many prominent figures call for the abolition of these programs. U.S. English, Inc., an organization promoting English as the national language, and politician Linda Chavez have both campaigned, along with numerous other groups, to eliminate bilingual classes from all American schools. The legitimacy of their claims are unsupported by research, though they do succeed in persuading many poorly informed Americans that English Only is the best course for our nation. By inundating Americans with “xenophobia and misinformation, the anti-bilingual-education movement has brought both conservatives and liberals into its English-only folds” (Chomsky 116). Proponents of bilingual education, stalwart in their conviction of its necessity in aiding immigrants’ assimilation into American society, continue to struggle against the onslaught of misinformation to convince Americans of these programs’ rightness. Another basis for popular misconceptions about immigrants speaking foreign tongues has its roots in our nation’s historical migratory trends. Many Americans today mistakenly believe that their countrymen have been continually speaking English since the trip from mother England. This misapprehension ignores the countless waves of immigrants from all over the globe coming to America for freedom and better lives throughout the past two centuries. These new Americans have constantly strengthened their new homeland by contributing their varied perspectives interwoven into the nation’s diverse cultural fabric, also considered to be a robust “melting pot.” But naysayers have not always appreciated immigrants’ offerings to the nation. Chomsky explains why some have opposed society’s diversification through embracing foreign languages, writing “during World War One, anti-foreign propaganda and Americanization campaigns created further pressure for immigrants to abandon their native languages” (111). As a result of these campaigns, English as America’s sole language overcame multilingualism’s advantages to a diverse nation. However, these campaigns failed to discourage American citizens from countries America conquered, such as Puerto Rico and Mexico, from maintaining their native tongues along with national pride. Due to America’s close proximity to these two countries, Mexicans and Puerto Ricans have felt even more desirous of speaking the mother tongue with relatives back home. Many Americans’ views are significantly shaped by the great numbers of Spanish-speaking immigrants in the country. According to the Migration Policy Institute “in 2012, Mexican-born immigrants accounted for approximately 28 percent of the nearly 40.8 million foreign born in the United States, making them by far the largest immigrant group in the country” (1). But these perceptions are largely inaccurate. Many Spanish-speaking immigrants have learned English with exemplary accomplishment, picking up the language better than have other immigrants. Chomsky writes “while today’s Spanish-speaking immigrants are learning English just as quickly as the earlier generations of Europe did, they also seem to be retaining their native language at much higher levels than the Europeans” (113). If more Americans were aware of Hispanics’ perseverance in learning English while also speaking their native language, perhaps this myth of Spanish speakers refusing to learn English would finally cease. In contradiction of the common stereotype that immigrants do not learn English in favor of exclusively speaking their native languages, most of these new arrivals in fact do succeed in learning English, often through bilingual education, in order to thrive in their new homeland. For over two centuries, innumerable immigrants have traveled to this land and declared it their home whether for refuge from persecution, to better their financial condition, or in pursuit of the myriad other advantages availed by American citizenship. Our country, in fact, was founded by immigrants escaping religious persecution, and to this day is widely viewed as a welcoming “melting pot” based on America’s history and culture inextricably connected to its immigrant roots. With its incredibly diverse immigrant population, America cannot possibly mandate a national language nor do the nation’s values permit such state-imposed homogeneity of expression. Some may argue for an English Only country pointing to immigrants who maintain insular existences within ethnically homogeneous communities, such as Chinatowns, never uttering a single word of English in their lifetimes. But this condition is irrefutably the exception, as Chomsky documents. America stands for the proposition that its residents enjoy free lives. We should allow, and even encourage, our newest members to assimilate into our country in optimal ways, including bilingual education for immigrants striving to master the English language. “Bilingual Education.” NABE –. NABE, n.d. Web. 28 Jan. 2015. Chomsky, Aviva. 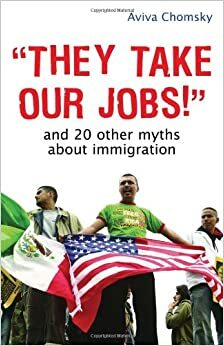 “They Take Our Jobs!”: And 20 Other Myths about Immigration. Boston, MA: Beacon, 2007. Print. “Frequently Requested Statistics on Immigrants and Immigration in the United States.” Migrationpolicy.org. N.p., 31 Jan. 2013. Web. 29 Jan. 2015. “How Young Children Learn English as Another Language.” LearnEnglish Kids. LearnEnglishKids, n.d. Web. 30 Jan. 2015.